Director Tim Burton confirms that Warner Bros. has approved the Beetlejuice 2 script and the cast is in place. Geena Davis calls Beetlejuice one of her favorite movies, but says no one has contacted her about the sequel. Winona Ryder confirmed on Late Night with Seth Myers that she is joining Michael Keaton in Tim Burton's Beetlejuice 2. Taran Killam and Bobby Moynihan interrupt Michael Keaton's SNL monologue to try and convince him to play Batman and Beetlejuice. Seth Grahame-Smith says all key players are interested in returning for Beetlejuice 2, which may start shooting at the end of this year. Director Tim Burton reveals the script is closer than ever to being complete, while Michael Keaton says the story has to be perfect. The former Bruce Wayne also talks about the casting of Ben Affleck in Batman Vs. Superman, saying he'll do great. Returning as Betelgeuse is the one role Michael Keaton would like to do again, but he won't do it without Tim Burton's involvement. While the actress is sworn to secrecy, she says it 'might' be happening. She confirms the sequel is set 27 years after the original. 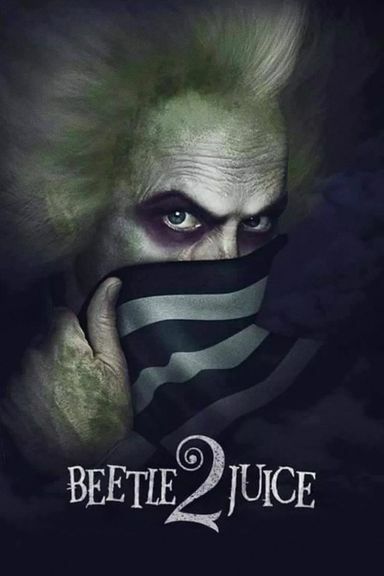 Currently in the scriping phase, Bettlejuice 2 is to be a follow-up to the 1988 comedy horror film Beetlejuice.